Prague is a city that encourages a good, low-key amble. Its historic pubs, its river walks, its winding streets, each prettier than the last, all do their part to cultivate an air of charming indolence. But even for travellers who don’t have the luxury of time, it’s still possible to make the most of 24 hours in Prague. 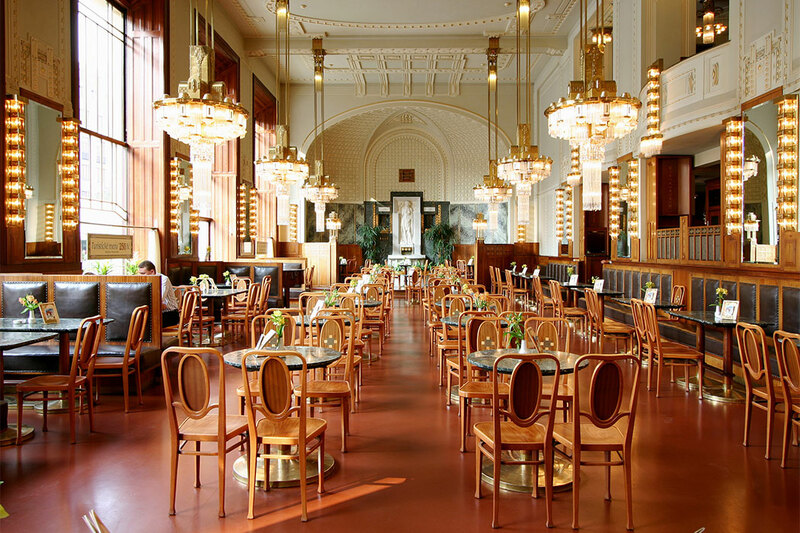 In just one day, you can discover the city’s ‘greatest hits,’ from Czech pilsner at Novoměstský pivovar to culture at the Museum Kampa to a stroll around the Art Nouveau wonder, Obecní dům. Part to-do list, part tantalising introduction, this itinerary will inspire you to book a return trip to the city of a hundred spires post-haste. 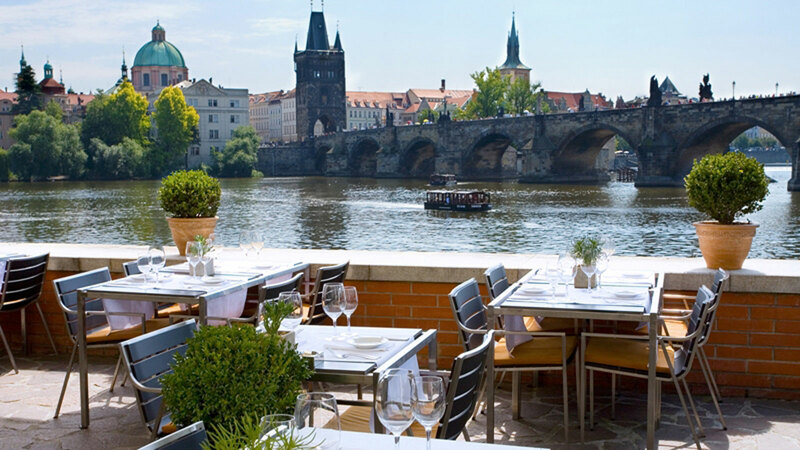 When the weather is fine, there are few better places to dine than Hergetova Cihelna – with a sprawling terrace located on the banks of the Vltava, you’ve found an ideal vantage point for some of Prague’s most famous views (not to mention delicious eats). Once you’ve made the 20-minute stroll over from the Municipal House, settle in amongst the chic crowds – and treat yourself to a glass of Moravian wine alongside your meal. You do only have 24 hours in Prague, after all. Once you’re suitably revived, it’s time to dive into some local culture. Only a seven-minute stroll down the riverbank, the Museum Kampa is Prague’s preeminent modern art venue. Both the permanent collection and the temporary exhibitions feature works by modern Czech artists, though you’re also likely to see pieces by Mondrian, Warhol, and Yoko Ono. Quick, before the Stendhal syndrome sets in: it’s time for an afternoon drink. Once you’ve sampled some local culture, sampling some local brews is the natural next step. For the frostiest, tastiest, Czech pours, opt to while away a few pre-dinner hours at Novoměstský pivovar, a brewpub that makes its own delicious light and dark lagers on-site (unlike the biggest pubs, it will also be less crowded with tourists). Before you arrive, though, it’s worth taking a quick detour across the iconic Charles Bridge, which should look rather glorious by the light of the late afternoon sun. After a litre or two of the local brews, we’d guess you’ll be feeling a bit peckish. While Novoměstský pivovar’s traditional pork knuckle may tempt, hold off: it’s worth splurging on an upscale dinner out. 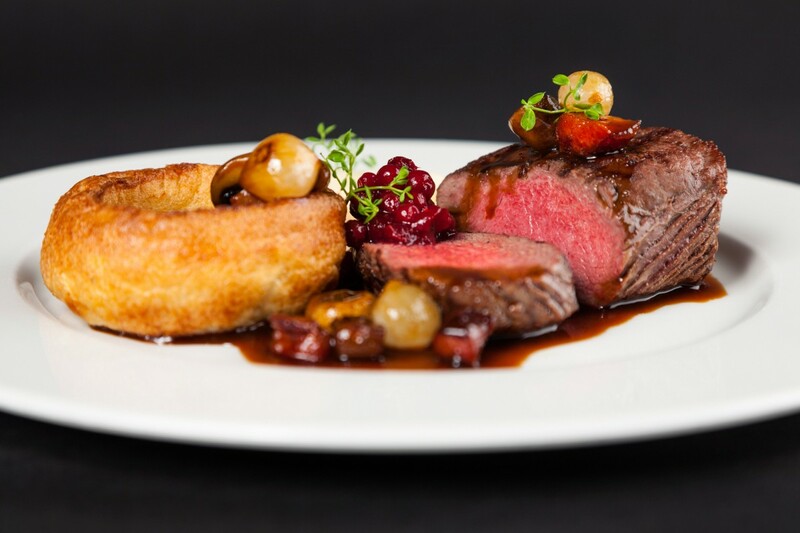 Try Parnas, where you’ll sup on roasted duck served alongside foie gras and buttered pear, or braised chicken with gnocchi, or roasted rosemary lamb, accompanied by a soundtrack of live music. When it comes to after-dinner entertainment, Parnas is also perfectly located for what comes next: a night at the National Theatre (to which the restaurant is just adjacent). Whether it’s opera, theatre, or ballet you’re after, the quality of the performances is always exceptional, and the interior resplendent. Opt for a private box to truly drink it all in. How better to round off a lightning Prague itinerary than with a good nightcap? Like its namesake, the Hemingway Bar certainly knows how to shake up a cocktail. Here, absinthe, Champagne, and rum are the principle spirits, mixed into delicious – and potent – concoctions. Just don’t overdo it – that might be taking one too many pages from Papa.